Yes I know its normally on a Monday but since I started diet chef last Tuesday I only felt it was right and proper to change it for this month to Tuesday. Having said that yesterday was the Bank Holiday so I didn't weigh myself in any event. I lost a 1lb. I'm okay with this - that's 9lbs since April and I didn't start eating the diet chef meals, having gorged myself stupid the previous week, like so many people do before they start another diet. I only swam once last week too and whilst we went for a long, slow walk yesterday at a National Trust park, I've had to curtail the exercise due to heelgate - see previous post. Although the rest, cream and all that isn't really making much difference (still need to order those trainers) so next week I'll book a steroid injection and fingers crossed that will be the miracle cure and I can stop wearing these blasted trainers all the time. I look like some deranged 40 something teen! I want to wear my grown up shoes please. I have been enjoying the different granola's I've chosen for my breakfast with diet chef and I like the soups for lunch and the sweet and salted popcorn snack. The evening meals are easy to microwave and I do try and have the same type of meal the family are having i.e sweet and sour chicken, meatballs etc. I don't want to be obviously eating differently to the rest of the family as I don't think that's healthy. What I love most about diet chef is that it is on my fitness pal - yeahhharrr. So its just like logging my food intake I did for the month of April but I merely type in 'diet chef' (as opposed to Aldi etc) and what ever I've eaten pings up with the calorie value etc etc. I do need to cut back on my dolce gusto intake. The ones without milk are okay but the ones that are i.e cappuccino, latte etc are just shy of 100 calories. Ekk. I think drinking calories is a real diet no no. Its such a waste. Its like binging on rich tea as someone did the other day - rich tea?!! If you're going to binge do it properly like a ginger cream or something. In other news, its Buddy's birthday tomorrow. He's 4 and is mad into Marvel Super Heros so he has several outfits (George at Asda were selling them at £10 and excellent quality they are too) and other various Batman themed items. I spent a long time making his cake at the weekend. Here is the finished result which I'm fairly pleased with. What do you think? 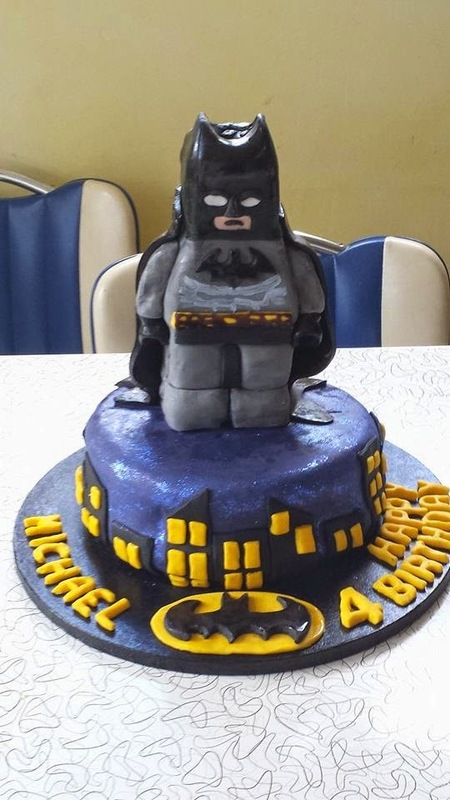 I'll do another blog post on how to make a Lego Batman Cake and more importantly what not to do! 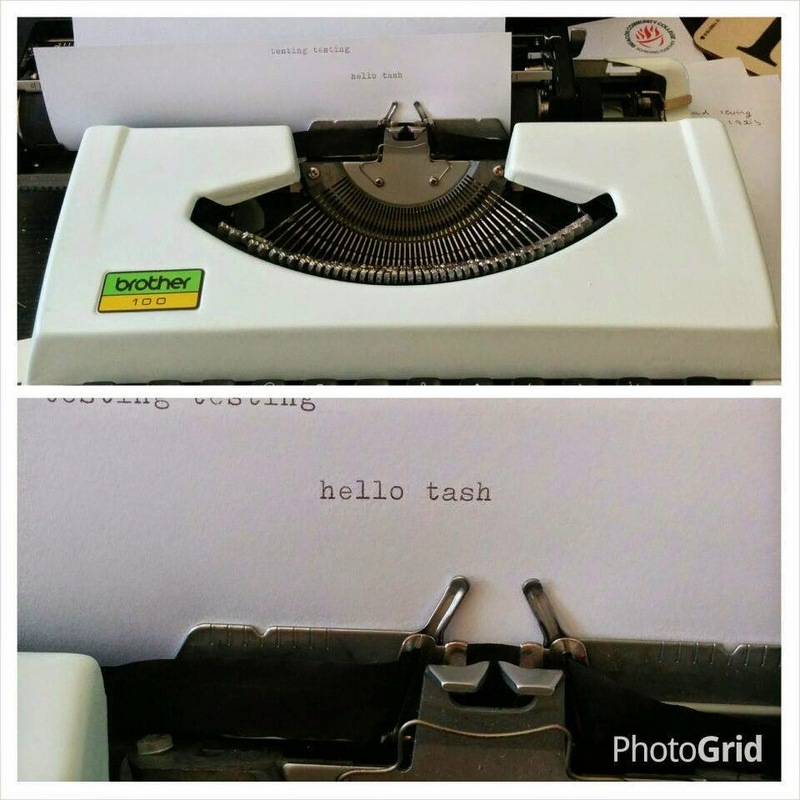 Remember my typewriter post - this model is the one Richard Burton wrote his diaries on and its one of the only items that went straight into the Museum of Modern Art when it first came out. I'm hoping it will someday be worth a fortune but in the meantime I'm enjoying its beauty and we all like writing nonsense on it! 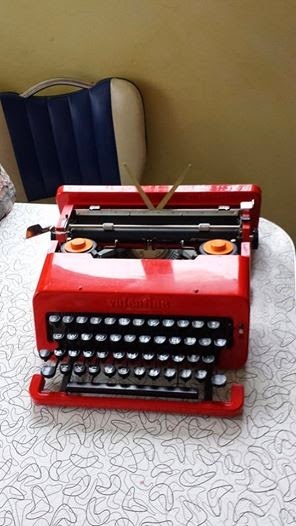 Even better a friend of mine found her very own thing of beauty in the charity shop £4.50. How wonderful. We can now all start writing blackmail letters! 9 lb is awesome!! Well done you, I am interested to see how the Diet Chef goes as I have looked at it myself a few times. That cake is absolutely amazing, you are very clever.